Enough woolen sweaters. Enough photo frames. Enough impersonal gift vouchers. A true traveler deserves an inspiring, heart-warming, yet challenging gift, which will fuel his or her adventurous spirit with ideas even in the hardest times of meltdown on the road. Recent studies reconfirm again and again that the best way to spend money if you want it to make you happy is to pay for experience instead of things. So you can wrap a vacation voucher or theater tickets for your friends’ birthdays but what we propose is even better. 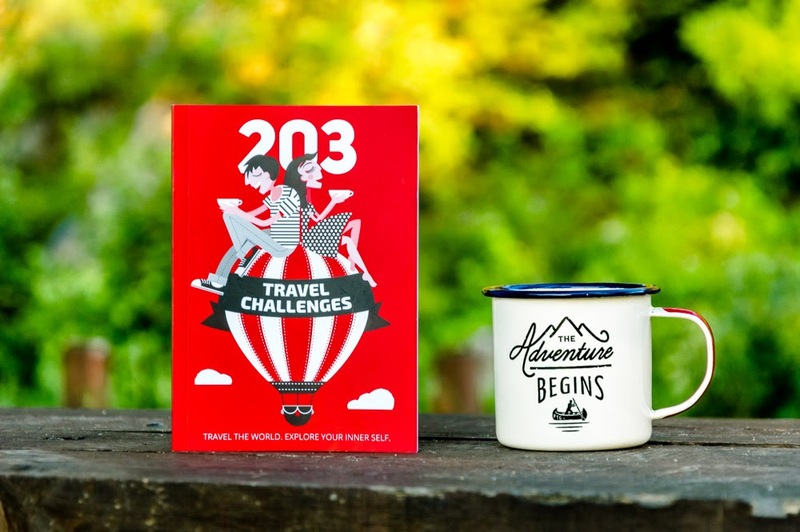 It is an object containing experience inside: a book called “203 Travel Challenges. Travel the World. Explore Your Inner Self”. 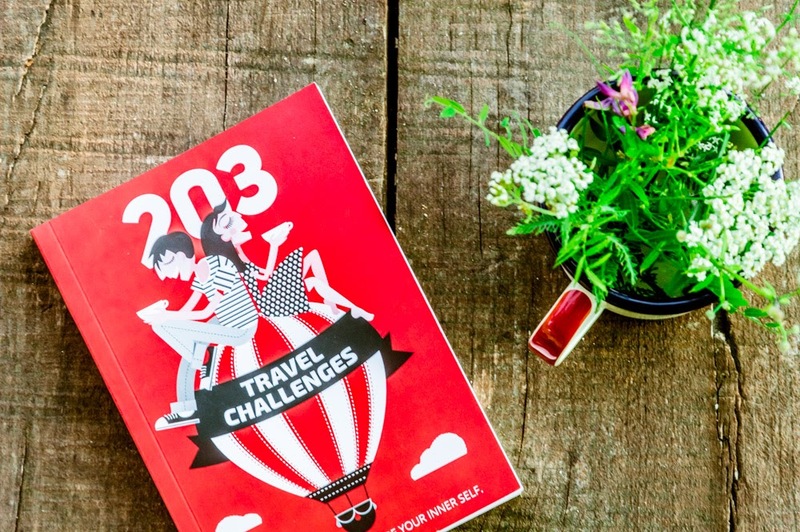 There are actually many more than 203 inspiring travel challenges between its covers – outdoor challenges, challenges with friends, hometown challenges, once-in-a-lifetime challenges, crazy challenges, which will turn your ordinary trips into exciting personal adventures. – real-life examples of ordinary people who have done exceptional feats – so can you! – you can draw ideas from the book for years as the possible challenges combinations are almost infinite. Do you want to take a look at some of the challenges? 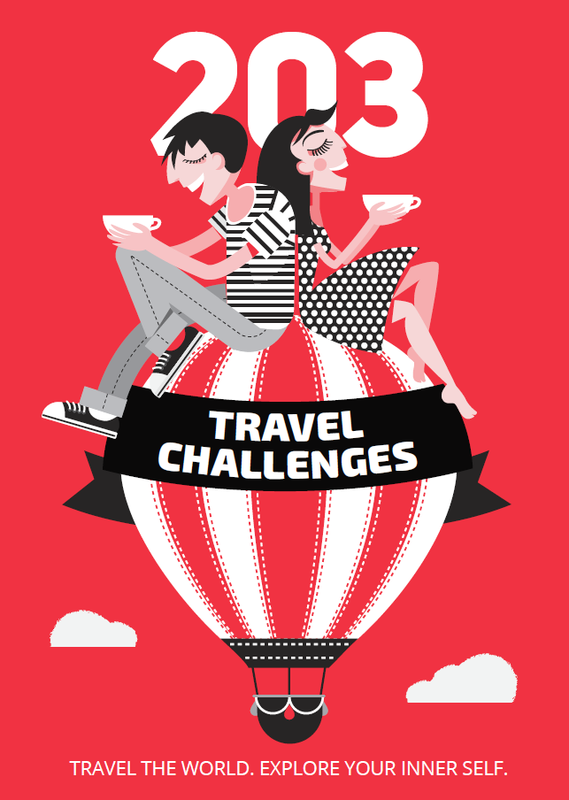 I want to bring more inspiration to my and my friends’ trips with 203 Travel Challenges. Speaking about gifts, you can give the book to yourself too!